When play began earlier today, there were 163 players holding out hopes of winning the inaugural Australasian Poker Championships Main Event. Now just 36 remain. 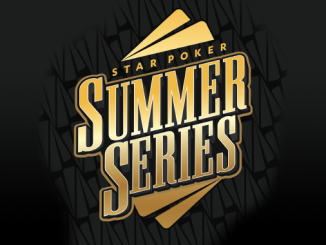 A drama-charged afternoon and evening here in The Star Poker Room saw 10 levels of play with the money bubble bursting late in the day and one other than Andrew “Lucky Chewy” Lichtenberger missing out on some pocket money by the one solitary place. There are plenty of familiar faces still in contention however including Jarred Graham, Billy Argyros, Andrew Hinrichsen, Sam Khouiss, Tony Kambouroglou, Daniel Levy, Andy Lee, Nick Polias and Matthew Wakeman. They’ll have some work to do to outlast chip leader Alex Lynskey. Having already won the Opening Event this week, young gun Lynskey twice had opponents shove into his pocket Aces pre-flop – giving him the stack he needed to start putting his skill set to good use. The 36 remaining contenders will return at 12.30pm tomorrow as we play down to our winner. It will be a long day but PokerMedia Australia will be on the floor as always bringing you all the live action. The floor staff have announced that there will be three more hands tonight. We’re down to our final four tables with 36 players remaining. 11.00pm: KQ into AA – twice! At almost exactly the same time, Henry Wang on one table and Trevor Saunders on another got it in with KQ only to run into the AA of an opponent. In Saunders’ case it would be the end of the road with Jarred Graham’s pocket rockets holding but Wang managed a double at the expense of Billy Argyros with the flop coming Q2Q to keep Wang in the hunt. Alex Lynskey becomes our first player to reach over a million in chips, currently sitting on 1,100,000! Blinds are up to 5,000/10,000 with a 1,000 ante. This will be the last level of the day. There are 39 remaining. Bernie Stang shoved from late position and Belal Ahmad tanked before eventually making the call. His decision was a good one with his 99 in good shape against the A7 of Stang but cruelly the board ran out TQ277 to send Ahmed to the rail. 10.20pm: Andrew Lichtenberger is bubble boy! Andrew “Lucky Chewy” Lichtenberger is our bubble boy after shoving his extreme short stack and receiving two callers in Benjamin Benoit and Matthew Wakeman. The 579JQ board was checked down and mucked when Wakeman showed AJ to take down the pot. The remaining 42 players are all in the money! We’ve had two players all-in and at risk of being the bubble boy so far, with both surviving. Paul Tartak was closest to elimination, getting his short stack in with 66 then spiking a 6 against the AA of Tony Kambouroglou, while Jamaal Ishac got it in with QQ to double through against the TT of Ray Lapitano! Tolly Sakellariou has been eliminated to leave us on the bubble! Sakellariou shoved for 110,000 pre-flop and Angelina Rich shoved over the top. Rich again had TT but this time they were good and held up against the KQ of Sakellariou as the board ran out 84A22. There are 43 remaining and play is now hand for hand! George Moussa opened the pot and Tolly Sakellariou called. Angelina Rich then shoved with Mayra Ramos calling. Moussa tanked for a good 3 minutes before eventually mucking what he said was JJ. Sakellariou also folded. It was Rich’s TT against the QQ of Ramos and when the board ran out 9869Q Ramos bolted up to 410,000. Rich is down to 160,000. Players are back to find blinds at 4,000/8,000 with a 1,000 ante. On an A♣8♠7♣ flop moments before the break, it was checked to David Sanis who bet 27,000. Sam Khouiss then shoved for 125,000 as Jarred Graham shoved over the top. Sanis tank-folded and the cards were shown with Khouiss ahead with A7 but needing to dodge plenty of outs against the J♣T♣ of Graham. He managed to do just that with the turn T♠ and river 3♠ pushing Khouiss to 300,000. 9.20pm: Four spots from the money! We’re down to 46 players remaining which means the money is just four eliminations away! We’ll go hand for hand when we reach the bubble. Alex Lynskey is one of the finest young players in the country but he has built a big stack today thanks largely to the donations of his opponents. Twice today he has held AA when someone has shoved into him and he just received similar fortune in a pot played against Trevor Saunders. Saunders opened to 12,000 and Lynskey called. Saunders then bet 15,000 on the flop, 25,000 on the turn and 30,000 on the river of a 52AA6 board with Lynskey calling him down. Lynskey showed A7 while Saunders was bluffing the whole way with KJ. We caught the action with the board reading QA25 and Andy Lee firing out a bet of 60,000. Billy Argyros called. When a T landed on the river, both players checked with Argyros’ AQ too good for Lee’s AJ. Tolly Sakellariou opened in late position and Christine Hia shoved for 170,000. Nick Polias then shoved over the top with Sakellariou folding. Hia showed KQ but needed a lot of help against the KK of Polias. The board didn’t provide it as she hits the rail with Polias now on 350,000. After an early position raise which was called by Bernie Stang and Angelina Rich, Stang bet 31,000 when checked to only for Rich to shove for another 62,000 on top. Stang tanked for more than a minute before eventually folding a showing a Q. Rich moves up to 190,000. Raymond Lapitan is on a roll! Flopping multple sets and moving his way up the chip rankings. On a 384 board his opponent moved all in with pocket 10’s with Ray instantly calling with pocket 4’s, unable to improve his opponent is on his way and Ray sitting comfortably with 585,000 in chips. With 55 players remaining and 42 making the money, there is no doubt that some of the shorter stacks will have on eye on cashing as the bubble approaches. The average stack currently sits at 242,000. Andrew Lichtenberger has been nursing a short stack for most of the day but he just doubled up to move over 100,000 and remain in contention. It was Lichtenberger’s 55 in a race against AJ and when the board ran out 2474K he kept his hopes alive. Alex Lynskey is our clear chip leader at this stage with upwards of 650,000 and scooping pots as we speak. On the other hand, there are more than 15 stacks with 50,000 or less remining placing them in the under 10 big blind range. Alex Fallon regains his impressive stack of over 350,000 after a lucky turn card. Alex re-raising his opponents preflop bet only to find himself calling his entire stack off with pocket JJ’s, his opponent tabled pocket KK’s as the board ran out 372-J-A – hitting the jack on the turn his opponents cries were heard from across the pit! Sam’s journey continues after moving all in for his last 25,500 pre-flop with pocket 99’s receiving two callers. The board ran out 9K24A with his opponents checking it down until he peels over his set and scoops up the pot. Players have taken their seats with blinds returning to 2,500/5,000 with a 500 ante. Peco Stojanovski has just won a hefty pot to join the chip leaders with around 460,000. 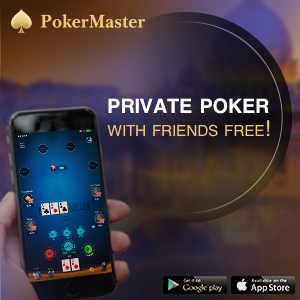 Opening in late position and receiving a caller in the small blind, the pair saw a Q♦Q♣4♦ flop which prompted Peco’s opponent to lead for 20,000. Peco raised then called his opponent’s shove for another 110,000. It was Peco’s AQ against the T♦7♦ of his opponent and he managed to fade the flush draw to put himself in a great position for a deep run. It was a case of déjà vu for Mohammed Elkassir as he called Andy Lee’s shove and found his A9 needing help against the AT of Lee. The board ran out T38J4 as Lee doubles through to 295,000. Elkassir has dropped way down from recent chip leader to having just 125,000 remaining. Having sent Warwick Mirzikinian to the rail only 30 minutes earlier, Alex Lynskey ended Peter Aristidou’s run as well – again holding pocket Aces. The chips went in on a K-high flop with Aristidou holding AK and when the board bricked it was Lynskey climbing skyward. Having already won the Opening Event, Lynskey is the last person his tablemates want to have chips but he is now among the chip leaders with 460,000.
in Mohammed Elkassir with A9. The board fell 25655 and Andrew’s AT holds to keephis tournament dream alive. After a player opened to 9,000 UTG, Roberto Seiwald called on the button before Tolly Sakellariou shoved for his remaining 98,000. The UTG player tank-folded but Seiwald eventually made the call with 88 to be at the races against Sakellariou’s AK. Sakellariou looked headed for the exit when the board read 9695 but an Ace landed on the river to save the day and propel him to 200,000. Seiwald is down to 145,000. Trevor Saunders has climbed back over 100,000 after taking down a recent pot with JJ against the A8 of Alex Lynskey. He is sitting on 130,000. Blinds are up to 2,000/4,000 with a 500 ante. Dominant chip leader just two hours ago, Warwick Mirzikinian has hit the rail! Having previously run two pair into a set of Aces and bled more chips since, Mirzikinian shipped from the small blind with AK but ran into the AA of Alex Lynskey. The board ran out J4J55 as Lynskey climbs to 270,000. Hassib Younan has had a pretty good week so far, having run deep in the $5k Challenge, and he is building a healthy stack here in the Main Event too. Younan and an opponent got it all in for around 300,000 total with Younan’s AK racing against QQ. The flop blanked but an A on the turn was enough to send the pot his way as he climbs to double the chip average. Half way through level 14 and three clear chip leaders have emerged. Staff are going table by table racing off the black chips leaving only 500’s-1000’s-5000’s and the occasional light blue 25,000 chips in play. While the rest of the table was on their break, Didier Guerin and Kim Myunghoon went to war on an AA7 flop. All the chips went in as Guerin tables AJ but Myunghoon had him in trouble holding AK. The turn and river bricked as the pot was shipped Myunghoon’s way. He is up to 220,000 while Guerin drops to 100,000. Players are back to find blinds at 1,500/3,000 with a 500 ante. Players are now on a 10 minute break. On an AKQ flop, Dean Blatt and Sam Khouiss went to war with Blatt holding AQ but needing help against the KK of Khouiss. None arrived and Blatt busts while Khouiss moves to 150,000.
eventually open folding a 5 and leaving himself with just over 100,000. Ciaran now sitting on 265,000 in chips. with running cards to make a straight. Nick Velcic limped from early position for 2,400 and Matthew Wakeman re-raised to 7,500. Velcic called then checked in the dark before check-calling a bet of 12,500 on a 789 flop. When a 4 landed on the turn, Velcic checked again as Wakeman bet 28,600. Velcic tanked for around a minute before mucking. Wakeman moves to 180,000. We’re midway through the fourth level of the day and the field has been slashed to 92 players remaining. With tables regularly being broken down and players moved to new seats, Table 76 has developed into a particularly intriguing one. It currently boasts Alex Lynskey, David Sanis, Sam Khouiss, Peter Aristidou, Trevor Saunders, Jarred Graham and Warwick Mirzikinian … needless to say there has been no shortage of action! David Sanis bluffed off a big chunk of his stack earlier today but he has just won it back following a huge post-flop clash with chip leader Warwick Mirzikinian. On an AK9 flop, the player in the small blind led for 11,000 and was re-raised to 30,000 by Sanis. Mirzikinian then 3-bet to 60,000 with the small blind folding before Sanis announced he was all-in. Mirzikinian quickly called and tabled K9 but quickly found out the bad news as Sanis showed AA. Mirzkinian is still chip leader with 400,000 while Sanis moves back up to 265,000. Christine Hia has been active today and is another to have built a hefty stack on Day 2. We recently caught her check-raising an opponent all-in on a 753 flop to put his tournament life at risk and ultimately force a fold. She is sitting on 300,000. Warwick Mirzikinian is renowned as a highly aggressive player and he has been using that aggression well today to move into the tournament chip lead. Mirzikinian has taken down a number of handy pots to rise to 550,000. On a board reading TT97J, Marcello Bo shoves for his remaining 50,000 and was called by Rined Namrood. Bow showed QT for flopped trips but Namrood went one better with KT to send Bo to the rail. Trevor Saunders has had a roller-coaster of a day but he has just doubled up to move back to 130,000. With 50,000 already in the middle and the board reading 657, Saunders went all-in for his remaining 30,000 and was called by Bernie Stang. Saunders had flopped the straight holding 34 but would need to dodge some outs against the 78 of Stang. He managed to do just that to keep his hopes alive. German pro Max Lehmanski is building a dangerous stack early on day 2, moving to 250,000 after eliminating Ali Ghezelbash moments ago. It was a classic race with Lehmanski’s AK up against QQ. The board ran out 578AJ to send Ghezelbash home early. 2.40pm: Almost one-third of Day 2 starting field gone! It was an action packed first two levels of the day, with 49 players hitting the rail to see the field fall from 163 players to 114! Players are back from the break to find blinds at 1,000/2,000 with a 300 ante. Action fast and furious at the moment and some massive chip stacks forming. Tolly(pictured) one of many big stacks so far. Hong Xie sent to the rail by Luis Arrilucia after Hong bricks on the river. giving Hong a flush draw, the turn saw a 5♥ giving him even more outs however an A♦ of the river sends him packing with Luis upwards of 65,000. David Sanis decided he was going to push Peter Aristidou off his hand. Sanis fired into Aristidou on an AJ4 flop, then shoved for the rest of Aristidou’s 140,000 stack on the brick turn holding nothing but 89. Unfortunately for Sanis, Aristidou held AA and snapped him off to suddenly sit behind a monster stack of 285,000. Sanis is down to 145,000. Trent Adams has been sent to the rail after his QQ ran into Tolly Sakellariou’s AA. Unable to improve, Adams’ tournament dreams are over with Tolly now sitting on over 240,000. We caught the action on the river with the board reading 2♥6♠7♥7♦T♥ and George Moussa facing a bet of 7,000 from Paul Murphy. Moussa called and showed A♥Q♥ to take down the pot over the 88 of Murphy. “It was a weak call, I know, but it was a safe call,” Moussa said. He is up to 110,000 while Murphy boasts 185,000. Blinds are now at 800/1,600 with a 200 ante. There has been a flurry of action early on today with cries of “All-in, call” echoing throughout the room. It is therefore no surprise to see a number of early eliminations. We’re down to 147 players remaining. Henry Wang has been running pretty well this week and that run has continued to help him chip up and send a player to the rail. Wang put his opponent all-in but needed help holding AT against AJ. That help arrived just in time as the board ran out 36K6T. Wang is up to 266,000. Overnight chip leader David Sanis just made a tough fold after pressure from Trevor Saunders. The hand began with Saunders raising to 3,000 and receiving a call from Dejan Boskovic. Sanis then re-popped it to 18,000 before Saunders shipped for 90,000. Sanis tank-folded, flashing AK in the process. At the Star Summer Series last year, Bruce Hall busted on the first hand of Day 2 holding pocket 10s. This time he has doubled with them on the first hand! Hall got it in against an opponent’s AQ and held on a K-high board to move to 110,000. 12.30pm: Cards are in the air! Play is underway! The plan is to play 10 levels today, which should take us to about 11.30pm. 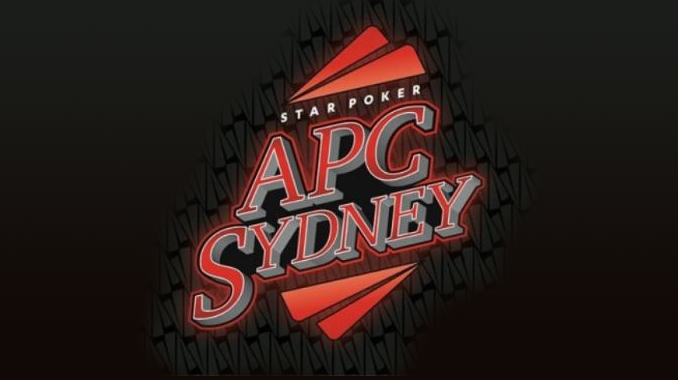 Welcome back to PokerMedia Australia and our coverage of Day 2 of the inaugural Australasian Poker Challenge Main Event. We’ve already witnessed three fascinating flights to bring us to this point with an impressive field of 444 players creating a total prize pool of $888,000. 163 of those players return today looking to make a deep run and put themselves in position to reach the final table. Leading the way is David Sanis with 285700 while eight other players also sit above 200,000. They are listed below. 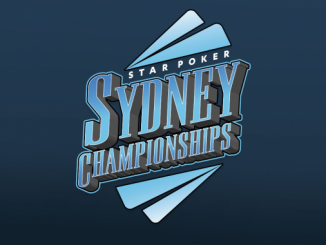 Play gets underway at 12.30pm local time so grab a tea, coffee, beer or whatever tickles your fancy on a lazy Sunday afternoon and enjoy as we bring you all the live action here from Sydney’s The Star!